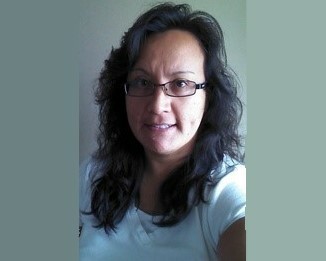 My name is Joanne Thompson and I am in my last semester of the nursing program at the Oglala Lakota College. I am from a federally recognized Ojibway tribe, Pine Creek. I am one of 14 siblings and I come from a generation that lived by the old traditions. I will become the third person [in my family] to become a Registered Nurse, I have two sisters who became nurses in the 2004. Upon graduation, I plan to work on the Pine Ridge Indian Reservation as a nurse. Plus, I am looking forward to working the South Dakota Native Nurses Association to support health promotion awareness, and promote nursing education. I feel very fortunate to have the support of the faculty and students while studying to become an RN.